Android devices never get old, Because in every update we can find something new and impressive. Android’s open-source nature allows us to customize things that we want to. If we talk about security apps on Android, then fingerprint sensor is very good and new Advanced security feature. But everything comes with its own drawback, Fingerprint sensor also has its own. And the smartphone is the very personal gadget that store much important data Banking Apps and Social Media Apps are one of them. Smartphone screen lock feature is not only enough to secure sensitive data and apps. In iOS, you need to jailbreak to lock iOS apps with touch ID. But on Android, there are some Best App lockers apps available, that allow you to lock app through Password, PIN, Fingerprint sensor and some other unique ways. NowAdays many Android devices and Best Custom ROM like Lineage OS and MIUI offers the built-in App lockers feature to lock Android apps. But if you’re looking for some Best App lockers for Android to lock apps with your device fingerprint sensor and other security feature. 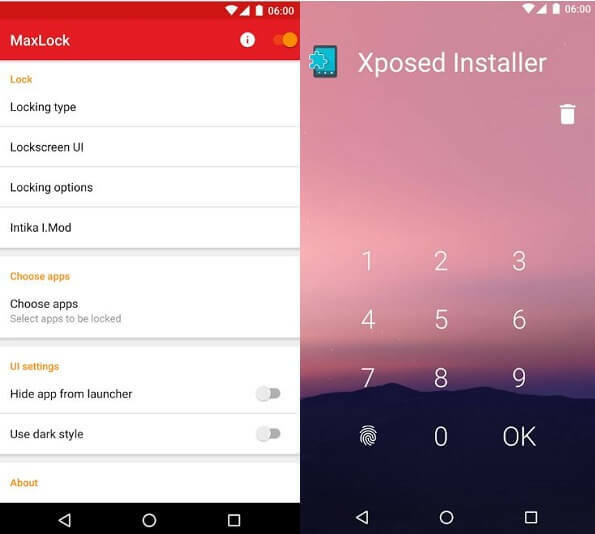 Then take a look at this list here are the Top 10 best App lockers for Android that will allow locking the Play Store and other Apps. 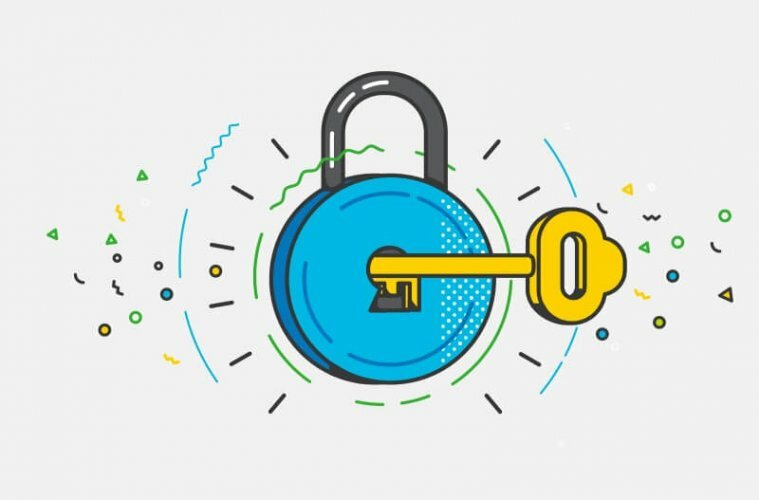 1 Best App Lockers for Android. 1.1 1. Norton App Lock. 1.5 5. Private Zone-Applock & Hide pics. 1.6 6. HexLock App Lock. 1.7 7. KeepSafe App Lock. 1.8 8. Privacy Knight App Lock. Best App Lockers for Android. Norton is well-known and famous for providing Antivirus Security to Desktop computers. 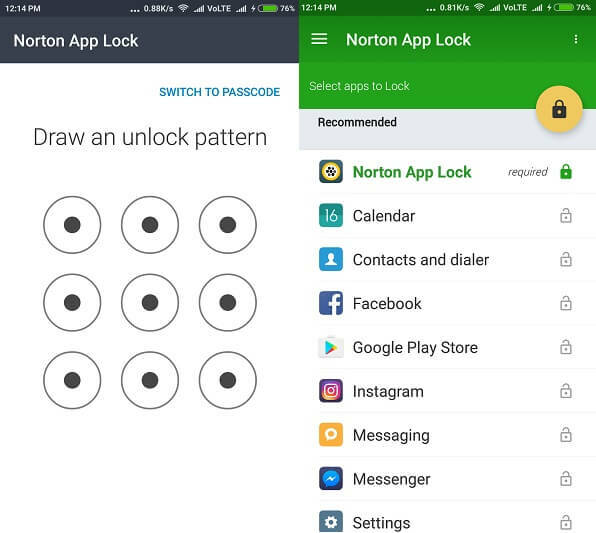 Now Norton launched many useful apps for Android devices like Norton 360, Norton Identity Safe, Norton Mobile security, Norton wifi safe and Norton App Lock. 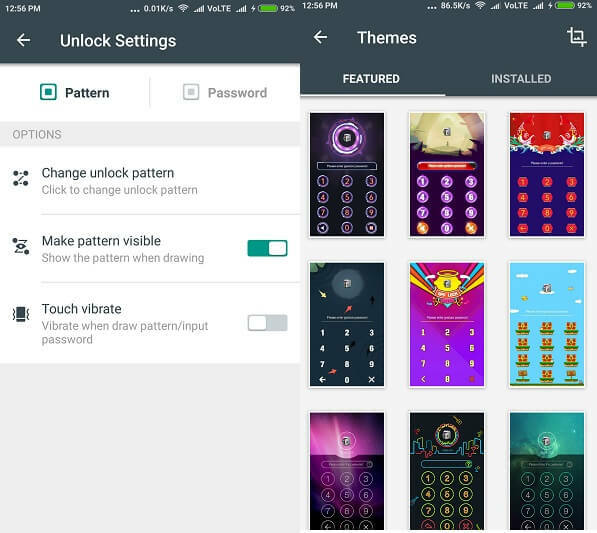 It allows you to secure Android apps with pattern lock and passcode. You can lock downloaded apps as well as System apps. If you forget your passcode and pattern lock then you can get the password on your Gmail Account. Sneak peak option is also available if someone tries to unlock your apps in your absence. Then Norton App locker app will automatically capture the image of that person using the Front camera. You can also lock smartphone screen using device administrator option and you can invisible pattern. 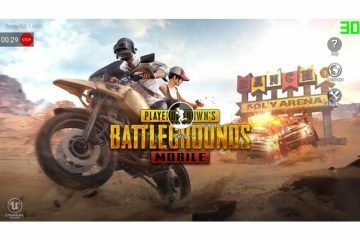 App Lock is the most popular app on Google Play with 100 milli0n downloads. 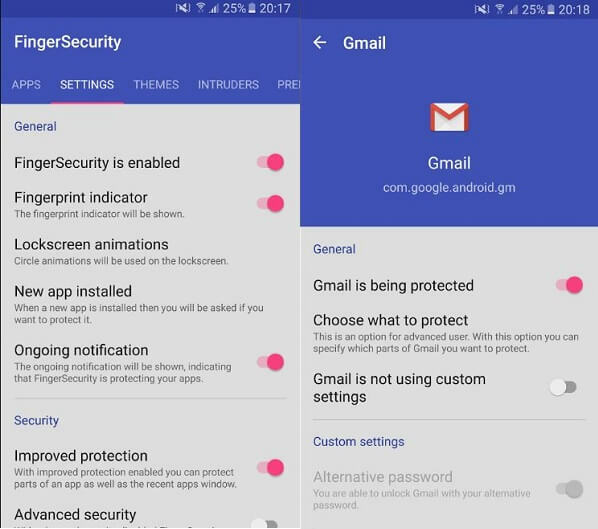 It also allows you to lock your important apps using Fingerprint sensor, only if you are using Android 6.0+. 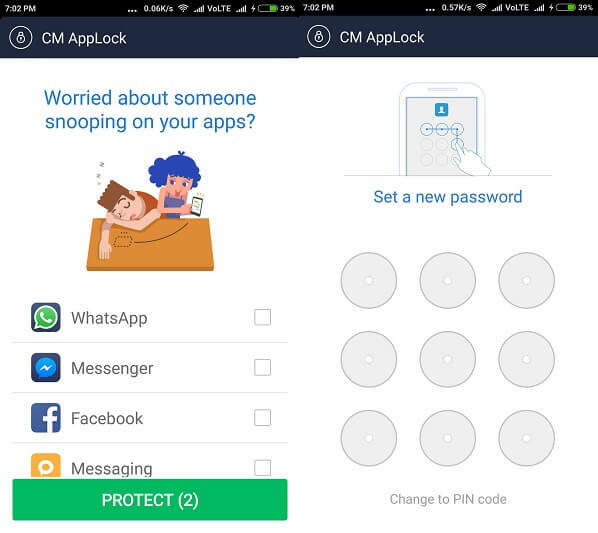 Apart from App lock it also protects private memory and by using it’s the advanced feature you can easily hide your personal photos and videos. 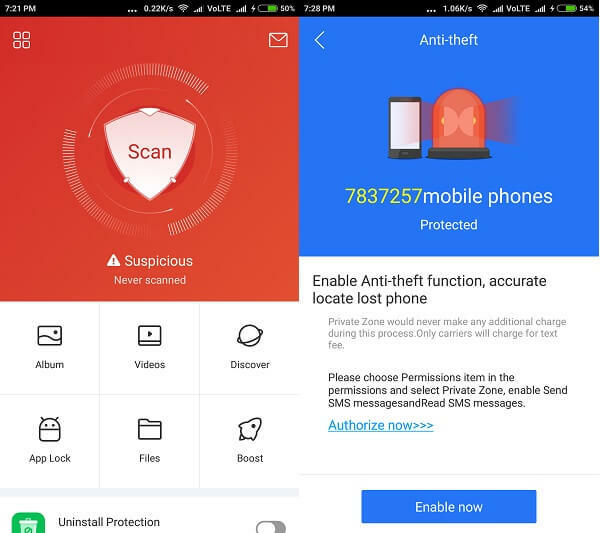 One of the best features of this app is you can also block all incoming calls and this app protects your smartphone from unauthorize access and provide a complete security. You can also prevent other users to uninstall or remove App lock by enabling Advanced Protection. After enabling it nobody can uninstall App lock without the password. If you forget your password then you can send password on email or you can answer the security question to reset the password. You can Also Change the theme of Pattern Lock by using theme collection of the App There is three version available of this app Premium, Ad, Basic. LOCKit app developed by Shareit – Transfer & Share app developer. This app provides two security option Pattern and PIN, you can choose any. And If you forget password then you can reset using security question. This app not only provides App lockers feature, You can also secure your private photos and videos by adding them into the app. You can also speed up charging and optimize battery by using Charging screen option. 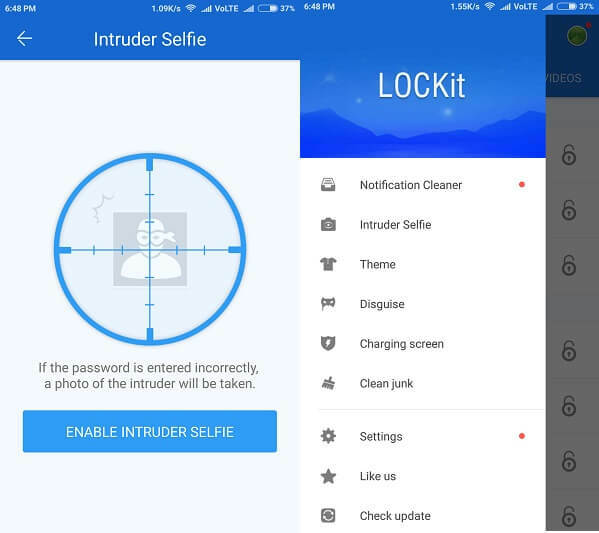 Intruder Selfie option also available that will help you when someone try to do unauthorized access of your apps. Lock screen theme settings also available, that allows you to change the color of the lock screen. The app is completely free, you don’t need to pay anything and also it’s ad-free. AppLock is developed by cheetah Mobiles and this company is famous for it’s Clean Master and Antivirus App. If you don’t want to download big size app Lockers app and running from low space then this app is the best option for you. This app is completely ad-free and dedicated only to provide App lock screen feature to old and new Android smartphones. By using this app you can put the restriction on WiFi, so no one can access wifi without your permission. If you are using latest android version then you can lock app using Fingerprint sensor. 5. Private Zone-Applock & Hide pics. Private Zone app is developed by LeMaster that is famous for its security apps. This app is dedicated to providing each and every type of security protection. You can hide Photos, Videos and also you can hide apps and important files. Like other apps, this app also provides Pattern and PIN lock security feature. Also, you can speed up charging speed by enabling charging screensaver. By using break-in alert feature you can capture image if someone tries to unlock apps. You can also use uninstall protection, so no one can uninstall apps without entering pattern and PIN. The Best option that you might like about this app is Anti-theft protection. If you lost your device then you can get accurate location by using it. HexLock app is developed by LiquidUm Limited, two other apps also available from this developer. 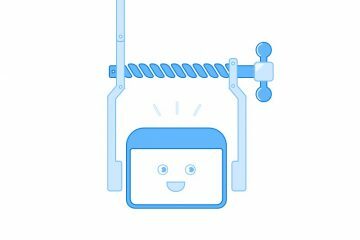 It is an app lock that will protect your privacy and secure your apps with up to six unique profiles to cover every situation. 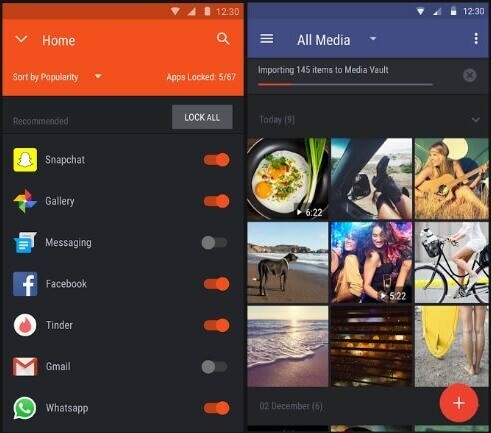 Media vault also available in this app you can protect your private photo and videos from unauthorize access. WiFI lock option also available that is really helpful and also you can lock Downloaded apps as well as preinstalled apps. There is two mode available Home and work, you can lock specific app in these modes and switch between these modes. One weird thing I noticed about this app is you can’t take the screenshot of this app. 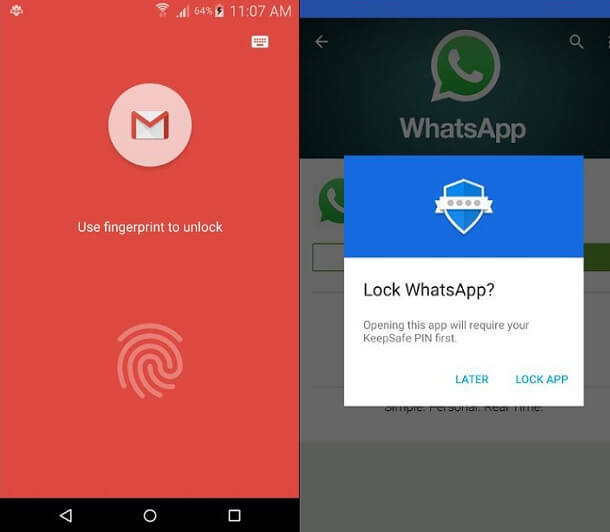 KeepSafe is one of Best App lockers that offer fingerprint app lock option, only if you are using Android Marshmallow or new Android Version. If you are using old android version then you can lock apps using Pattern and PIN. You can also add your Email ID, so if you forget the password you can reset using Email ID. The app is completely ad-free and provides you the good experience. You can find two section in app Locked apps and unlocked apps, which is somehow helpful. Picture hide option also available in the app, you can also set relock app timer. This app also not allows taking the screenshot, you can temporary disable app lock also. 8. Privacy Knight App Lock. 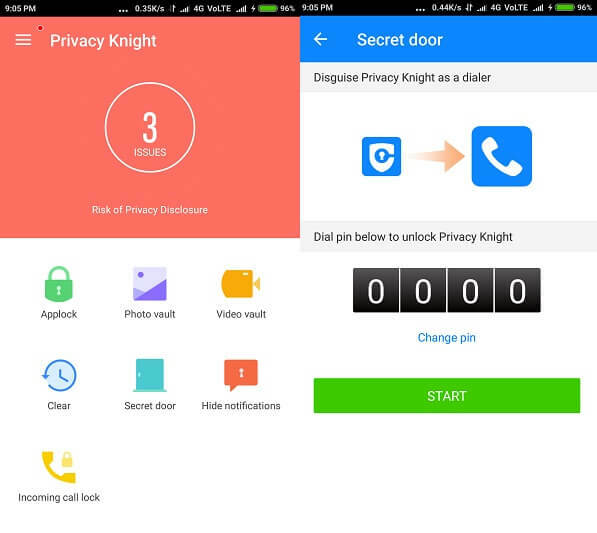 Privacy Knight is ad-free App Lock and photo vault developed by Alibaba group. You can not only lock apps using Pattern Fingerprint and PIN also you can use Face lock feature to lock important apps. This app not only provides app lock feature also you can clear browsing history by using one tap clean button. You can also find out who is snooping in your smartphone. Photos and videos vault also available in the app. It also allows you to personalize lock screen with multiple themes. You can also confuse snoopers with various covers. MaxLock is an ad-free and one of best app lockers, this app is developed for rooted Android devices. This app offers many advanced features that not available in Any other apps. To use this app you need to root your device and Install Xposed Install to activate this Module app. It also supports fingerprint scanner but only if you are using Android Marshmallow or Nogat devices. This app also offers the Fake crash feature that allows you to spoof crash of locked apps. It also provides protection against app uninstall and device admin change on Nexus devices. You can also hide notifications, and you can customize UI also. Paid version also available of this app with some extra advanced feature. Finger Security is an old and well-known app lockers app, It is the first app that launched fingerprint app lock feature in 2014. It allows you to unlock multiple apps at once. If fingerprint will not work for some reasons then you can use alternative PIN and password. You can use your favorite image as background and Fake crash dialogue also available. This app not only protect apps also you can secure your notifications of Social media apps. It also Detects intruders by taking a picture of them. These are the Best App Lockers for Android devices that you can use. 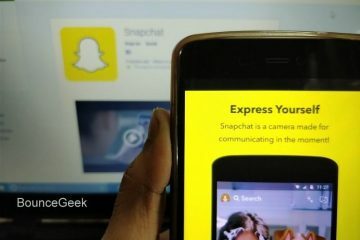 Every app mentioned in this list has it’s own unique feature. You can choose according to your requirement, If you know any other better app then you can share in comment section. 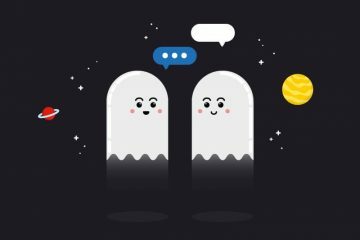 Previous Article10 Best Gmail Alternatives that you can use For Personal & Business. Next ArticleHow to hide apps on Android using Nova Launcher. 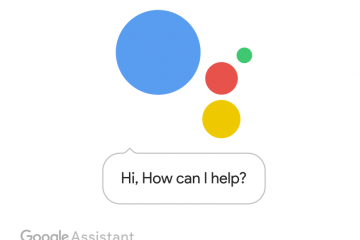 How to Get Google Assistant on Any Android Phone without root. FPS Counter for Android, check in-Game FPS – Without Root. 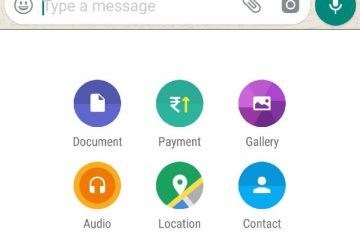 Top 8 Best WhatsApp Alternative Apps that You Can Use in 2019.